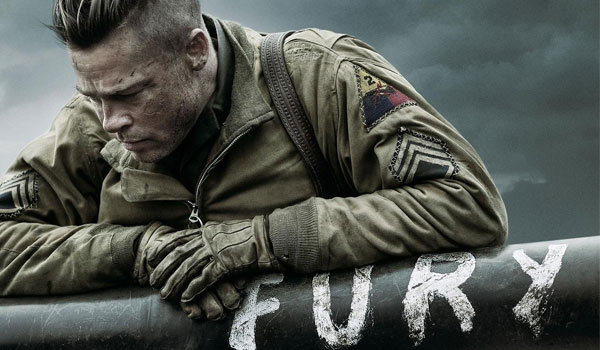 Brad Pitt leads an impressive ensemble in Fury, another entry into the World War II genre. Will the Sony release bring something new to the table or will it lack the spark needed to get moviegoers excited about a well-worn genre. BoxOffice takes a closer look at the commercial prospects for Fury this week. - Brad Pitt commands plenty of publicity by just walking out his front door. The media will be eager to cover this title as much as they can. - The WWII genre has been good to Pitt: Inglourious Basterds was a $318 million global hit. - This one has "Oscar bait" written all over it. We'll be very surprised if the words "possible Best Picture nominee" aren't mentioned in a ton of reviews. - Online reactions to the first trailer have been mostly positive. - If The Judge and Gone Girl end up overperforming, that could steal attention away from Fury. - We doubt the inclusion of Logan Lerman (The Perks of Being a Wallflower) will bring in younger crowds. - A lot of moviegoers were disappointed by Monuments Men earlier this year and that could leave them reluctant to embrace another WWII flick. The Judge Oct 10, 2014 Warner Bros. This Is Where I Leave You Sep 19, 2014 Warner Bros.
Dolphin Tale 2 Sep 12, 2014 Warner Bros.